Are you ready? X-12 in one month! 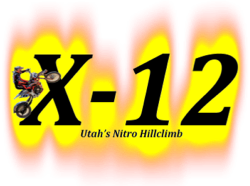 The X-12 is just one month away – classes for everybody…amateur, youth, semi-pro, ATV, and pros! The event flyer and entry form are posted on the Utah Hillclimb Schedule page – get those entries in the mail by April 15th!